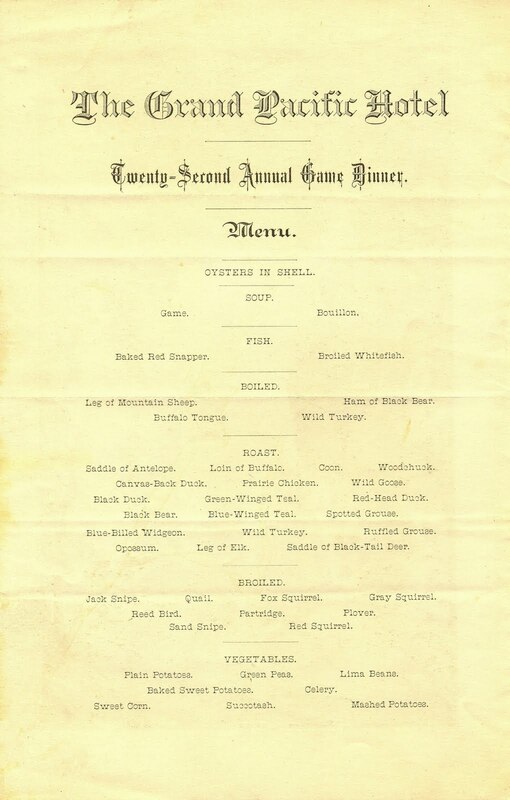 Although these dinners are often remembered as a Thanksgiving Day affair, similar to other game feasts, they were actually held on a Saturday in the middle of November. Hotelier John Drake began the tradition at Chicago’s Tremont House, and then moved the annual game dinner to the new Grand Pacific Hotel in 1874, when it reopened three years after the Great Fire. 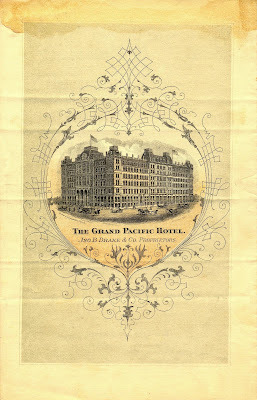 Along with the Tremont, the Palmer, and the Sherman, the Grand Pacific was known as one of the “big four” luxury hotels in the post-fire city. 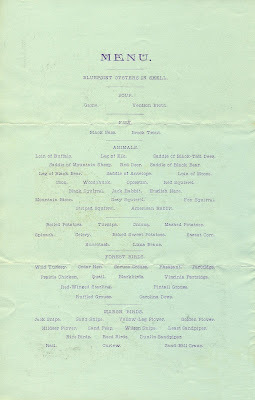 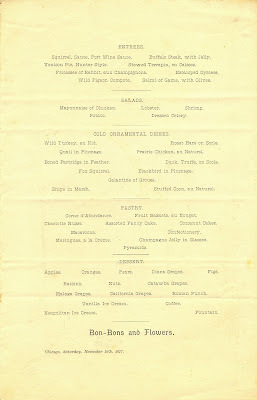 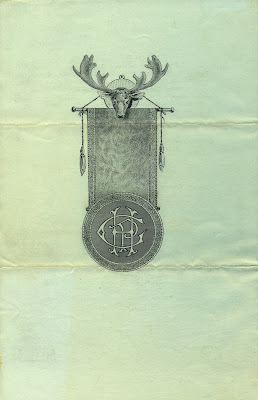 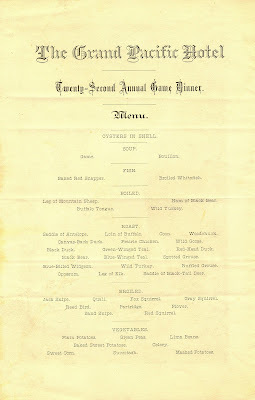 Three menus show the event in peak form, beginning with this bill of fare from the twenty-second annual dinner in 1877. 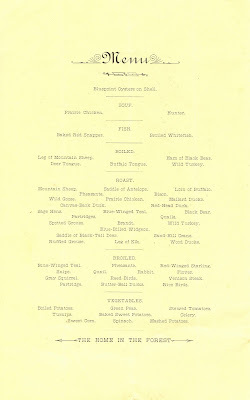 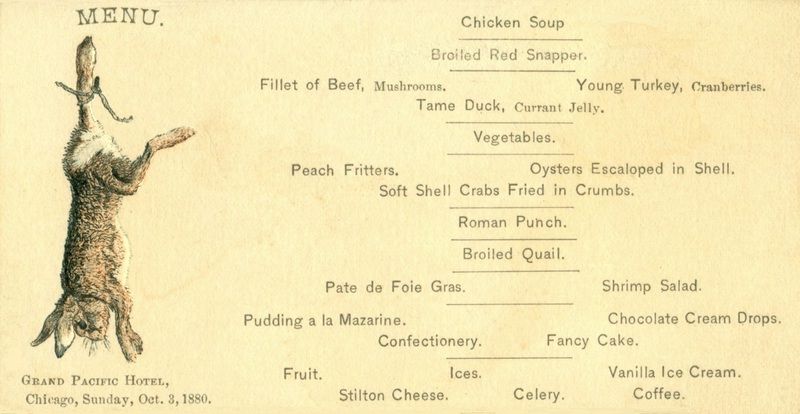 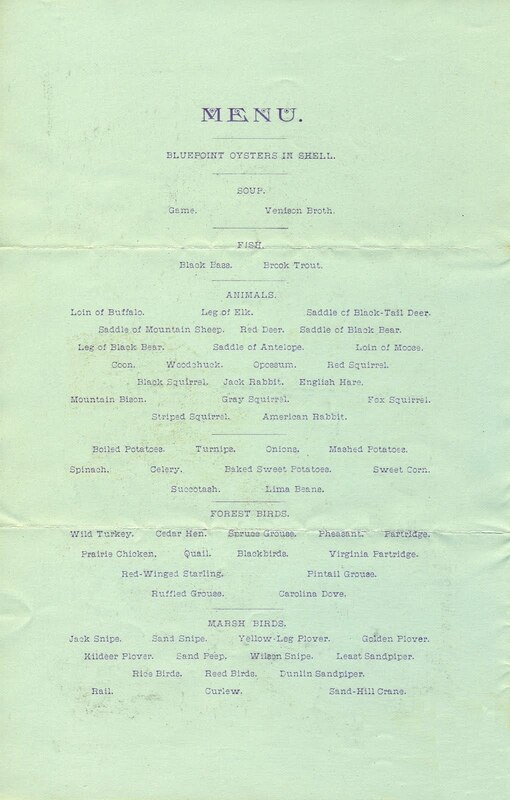 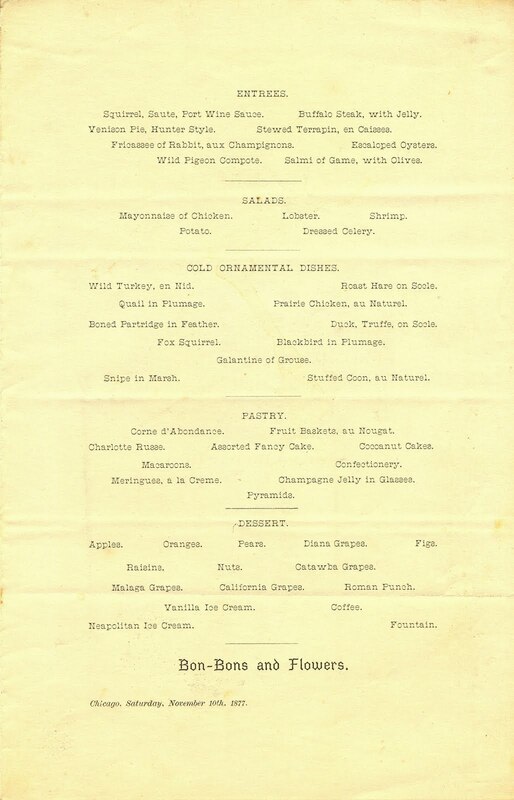 As shown on this table d’hote menu from October 3, 1880, the Grand Pacific did not typically serve an inordinate amount of game. 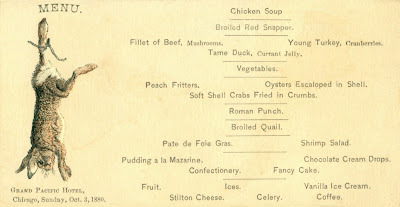 For example, this bill of fare features “tame” duck at a time when the domesticated varieties were not often found on such menus. 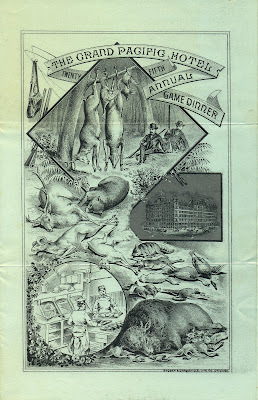 The illustration on this trade-card-size menu anticipates the game dinner only a few weeks away. 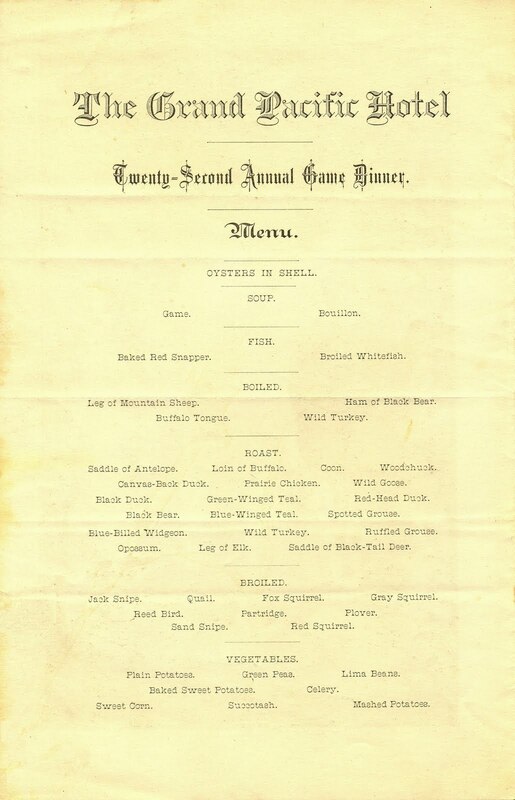 Dubbed “Chicago’s great feed” by the New York Times, this unrivaled game dinner was a celebration of America’s vast abundance. 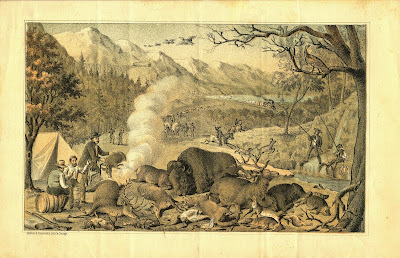 Nevertheless, as time went on, it became increasingly difficult to procure such a wide variety of wild game to feed over five hundred guests each year. 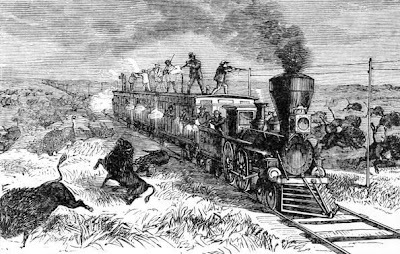 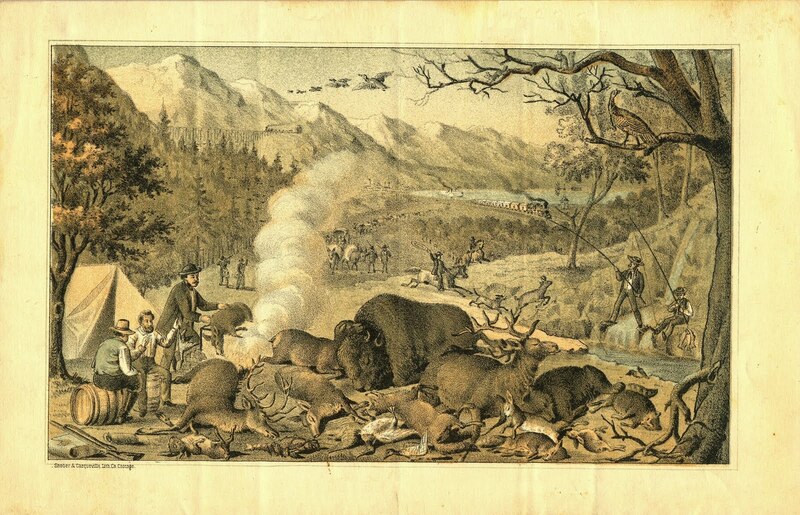 In the early 1880s, just as the last of the free-ranging bison were disappearing from the Great Plains, a few states began to strengthen their wildlife laws, belatedly realizing that the country’s natural resources were limited. 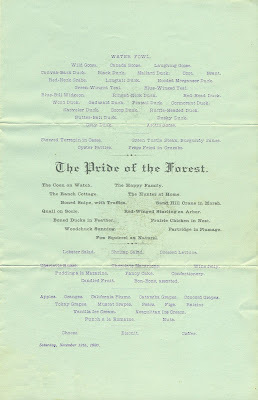 Although this elaborate fete increasingly required many weeks of planning, it was still going strong in 1880. 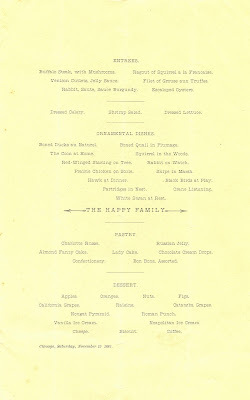 “The National Geographic Society evidently did the shopping for the meat in behalf of this hotel,” quipped columnist Robert Benchley in his essay, “The Dear Dead Table d’Hôte Days: A Menu from Old Chicago.” Published in Liberty magazine in April 1930, the humorous piece was inspired by a menu like the one shown below from 1881. 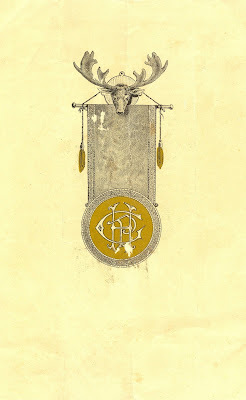 When the last game dinner at the Grand Pacific Hotel was held in 1893, the fall ritual was still going strong as Chicago's social event of the season. 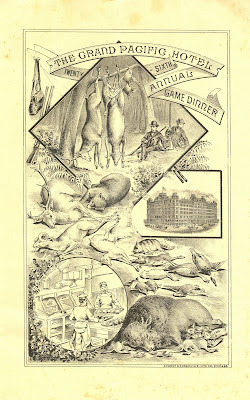 In the end, there were thirty-eight annual game dinners, so spectacular that they reverberated in our collective food memory for years afterward.